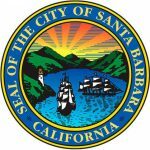 Opera Santa Barbara’s Studio Artist Program provides high-level performance opportunities and valuable training to some of the country’s most talented up-and-coming opera singers. These singers work with top industry directors, conductors, and coaches in masterclasses, individual coachings, and public performances including cover and mainstage role assignments. Going into only its seventh year, alumni have gone on to perform roles with companies around the world including the Metropolitan, Washington National, Santa Fe, Los Angeles, Pittsburgh, Dallas, Sarasota, Fort Worth, and Virginia Operas, and internationally with the Deutsche Oper Berlin, Opernhaus Zürich, Heidelberg Opera, Hong Kong Opera, Teatro Regio of Torino, Aix-en-Provence, Beijing’s Reignwood Theater and Austria’s Bregenzer Festspiele as well as appearances with the Chicago Symphony, Philadelphia, and Pittsburgh Orchestras, the Netherlands Radio Orchestra and the Opera Orchestra of New York. 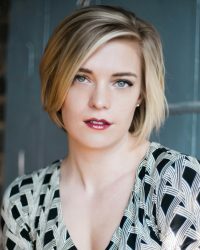 Mezzo-soprano Ashley Kay Armstrong makes her Opera Santa Barbara debut as Olga in Eugene Onegin as a member of the Chrisman Studio Artist program. This past season she was a Cedar Rapids Opera Theatre Young Artist, and sang Meg Brockie in Brigadoon and Lady in Waiting in Turandot. She was also an Apprentice Artist with Sarasota Opera and sang Kylie K in the world premiere of Cosmic Ray and the Amazing Chris with Thompson Street Opera. Other highlights in her young career include the title role in Lucrezia and Isabelle Eberhardt (cover) in Song from the Uproar with Chicago Fringe Opera. She also appeared as the alto soloist in Beethoven's 9th Symphony with the Chicago Sinfonietta. She attended the Chicago College of Performing Arts, where her roles included Ottavia in Monteverdi’s L'incoronazione di Poppea, Suzette in Bluebeard's Waiting Room, The Wife in The Women, and Spectre/Alto Soloist in The Nightingale. 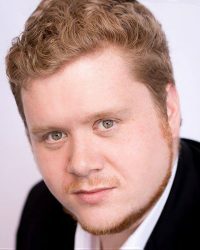 Michael Kollmorgen, tenor, is a native of Tulsa, Oklahoma. He joins Opera Santa Barbara's Chrisman Studio Artist Program for the 2018-19 Season. Michael has been performing since he was seven years old as a member of the The Tulsa Boy Singers. He attended Oklahoma State University, where his roles included Nemorino in L'elisir d'amore, Basilio and Don Curzio in Le Nozze di Figaro, Kaspar in Amahl and the Night Visitors, and Matt/Larry in Face on the Barroom Floor. 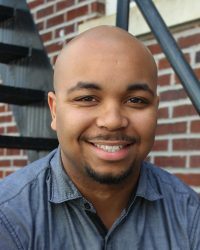 Michael was also cast as the Duke in Rigoletto and Rodolfo in La Bohème in OSU Opera's production of Love, Lust, & Death: Four Tragic Acts of Love. Michael has also performed in the Chorus. and he was recently featured as a tenor soloist in Handel's Messiah. Michael attended the University of Houston for his graduate studies, where he performed Ferrando in Così fan tutte, Levin in Anna Karenina, Judge Danforth in The Crucible, Tancredi in The Inspector, and Roméo in Roméo et Juliette. Michael graduated with his Master of Music degree in Vocal Performance this past May. Michael has won first place in both the Junior and Senior Men's Division at the Oklahoma National Teachers of Singing competition and was a recipient of the Vocal Music Scholarship at OSU and the Winifred and Maurice Hirsch Memorial Scholarship at UH. Michael currently resides in Houston, Texas, where he teaches Voice and Music Appreciation as an Adjunct Teacher at Lonestar Community College Tomball. He is a student of Joseph Evans. Soprano Jennifer Lindsay has been lauded for her “clever comic ability” and “vocal athleticism” (Naples Daily News). Jennifer joins the Chrisman Studio Artist Program for Opera Santa Barbara 2018/19 season, covering Tatiana in Eugene Onegin and both Mimì and Musetta in La bohème, and singing Mary Warren in The Crucible. 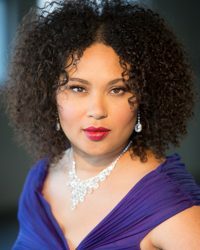 Prior to joining Opera Santa Barbara, she will make her role debut as Mimi in La bohème with Opera Connecticut. Jennifer recently made her role debut as Leonora in Il Trovatore with Pacific Lyric Association alongside Metropolitan Opera tenor Luis Lima. Jennifer is an alumna of the apprentice programs at Opera Southwest, Opera Naples, and the Caramoor Music Festival. Other career highlights include Violetta in La Traviata with Pacific Lyric Association and Lucha in the world premiere of HOPSCOTCH (The Industry). She has also appeared with the LA Philharmonic in conjunction with Beth Morrison Projects singing excerpts from John Adams’ I Was Looking At The Ceiling And Then I Saw The Sky, conducted by the composer. Jennifer is also an accomplished orchestral violinist. Last season, she unexpectedly became a viral sensation on social media when she stepped out of the 2nd violin section at the last minute to replace the ailing lead soprano during a dress rehearsal of Aida with the Marina Del Rey Symphony. Jennifer holds degrees from Harvey Mudd College (BS/Mathematics), Columbia University (MS/Operations Research), and Johns Hopkins University (MS/Computer Science) and worked as a software developer for the U.S. Department of Defense before pursuing a career in music. She currently resides in Los Angeles.